Duc and Jennifer Pham have always wanted to run their own business. 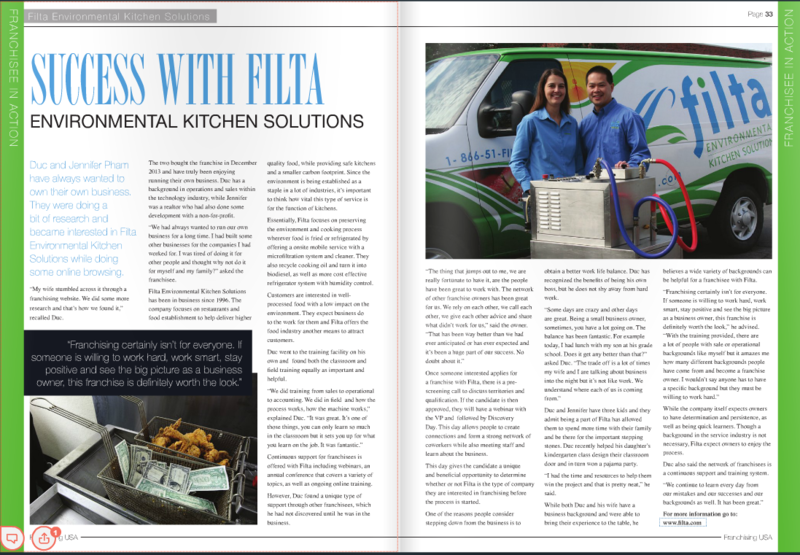 They were doing a bit of research and became interested in Filta Environmental Kitchen Solutions while dong some online browsing. Click here to read the full magazine article.